If you have to think for long to remember when your last visit to the dentist was, then it is highly recommended you plan a visit soon. If it has been too long, and you are too embarrassed about seeing a dentist now, always remember that it is never too late to see a dentist unless you experience following 5 signs. These 5 signs mean that you need to see the dentist at your earliest. In case you are thinking that it is ok if your gums are bleeding because there are a number of people whose gums bleed then you need to know that healthy gums never bleed. Therefore, if your gums are bleeding, it means you have a gum disease. You have a 50 percent chance of being affected by a gum disease or also known as a periodontal disease if you are 30 years old or above. The risk increases to 70 percent once you reach the age of 65. 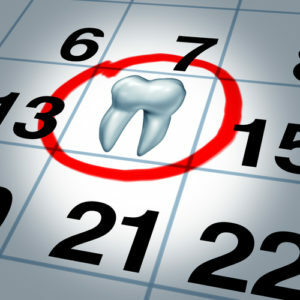 It is time to see the dentist if you are experiencing any kind of pain in the tooth. Although there are a number of home remedies to cure the pain for some time, however, you must not forget that this pain is an indication that something is not right. It can occur because of a dental decay or an infection. An immediate visit to the dentist in case of tooth pain will result in a timely cure for whatever reason is causing the pain. If you are experiencing sensitivity in your teeth while eating and drinking, it is an indication that the protective coating of your teeth known as enamel is worn down or your gums have receded. This causes the sensitivity in the teeth during eating or drinking and hot or cold food and beverages. Therefore, you need to see the dentist so that the actual reason causing sensitivity in the teeth can be addressed. Otherwise, the condition can deteriorate and even a simple touch can cause sensitivity in the teeth. You must be well aware of the fact that the smile is an important part of someone’s persona. Stained and yellow teeth can have an adverse impact on your personality. Some common reasons for discoloration are daily consumption of coffee, regular smoking, and other eating habits. However, discoloration can also be a sign of dying teeth. If this condition is not diagnosed timely, it can result in loss of teeth. Some breath in the morning is normal but if you notice that your morning breath is not the regular one or you experience and unpleasant breath all day long, then it is a sign that something is wrong. The changes in your breath smell is usually caused by the bacteria inside your mouth. While skipping regular brushing and flossing are some common reasons for a bad breath, it is also an indication of gum disease. You need to see the dentist if you experience unusual bad breath.